Learn how to prepare for the world's most violent weather. Make a plan as a family for what you will do when disaster strikes. Prepare for the future. A disaster supplies kit is a collection of tools, supplies, food, and water you will need in an emergency. Make tasty meals using only wheat flour, rice, quick oats, macaroni, pinto beans, sugar, powdered milk, cooking oil, and salt. Learn how to survive in all kinds of different situations. The Food Storage Guys bring you a great selection of food storage products that we believe is the best storable food. Stocking up on emergency food storage is becoming very popular these days. An emergency food supply is important to have and they are in high demand right now. With brand names like Relief Foods, Food for Health International, Rainy Day Foods, and Wise Foods, we have the right type of food supply to meet your needs. Our customer service staff are here to help you choose what is right for you or help you with shipping questions. We believe in finding the best quality food storage in the industry and giving you easy choices that will make a difference in your life. Our food storage is great-tasting and nutritious. 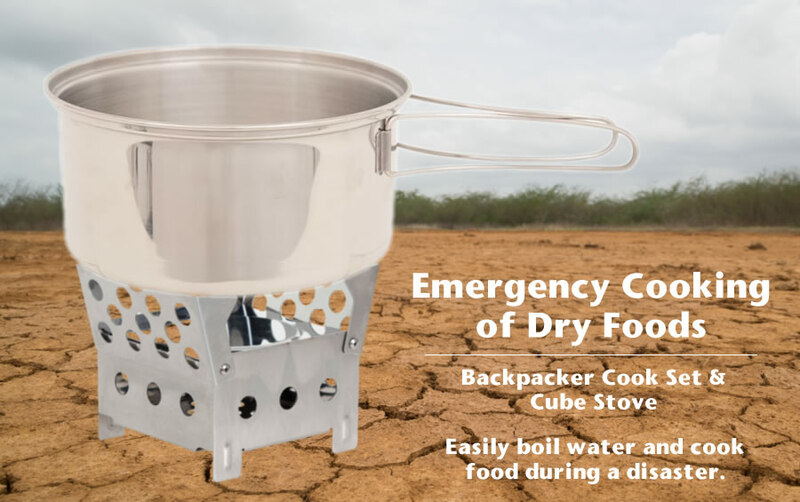 We believe that food storage and survival go hand in hand. If you don't have storable food, you will probably not survive long. We offer a wide range of food types to meet your needs. We know that different people have different tastes and priorities. Our desire is to offer you the kind of food you want in your supply and will enjoy eating when the time comes. We have low prices throughout our store and offer FREE shipping on all our food products so that you don't have any hidden fees like other companies do. We also offer a USDA Certified Organic food supply filled with all kinds of tasty grains, beans, lentils, pancake mix, sprouts, superfood, seeds, and drinks. When you want your food to be in the most natural state you can get, our Organic bucket is what you are looking for. Pick up a nice grain mill, and you will have fresh flour for bread. Storing water is important. Having an ample supply of clean, safe water is a high priority in any emergency situation. A person needs to drink at least half their body weight in ounces of water each day. Living in hot environments can double that quantity. Children, nursing mothers, and sick individuals will need even more. You also will need to store water for cooking food and washing. Store at least one gallon of water per person per day. Storing water for at least a two week period for each person in your family. 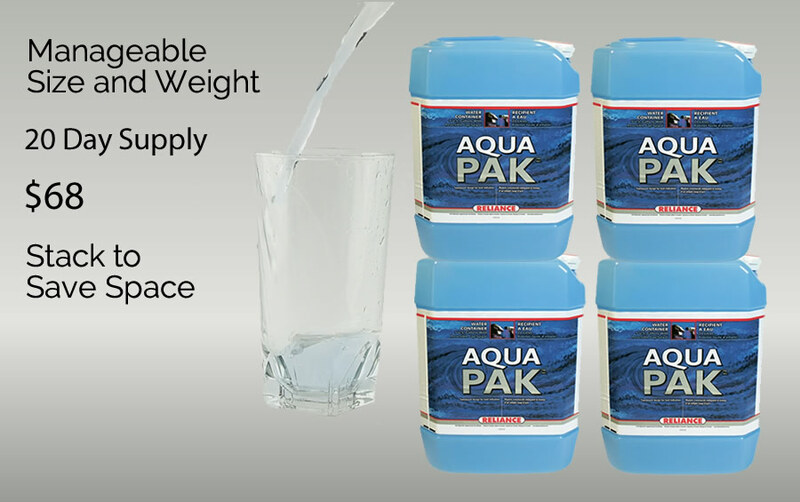 We sell water containers for storing water, such as our 5-gallon stackable containers. 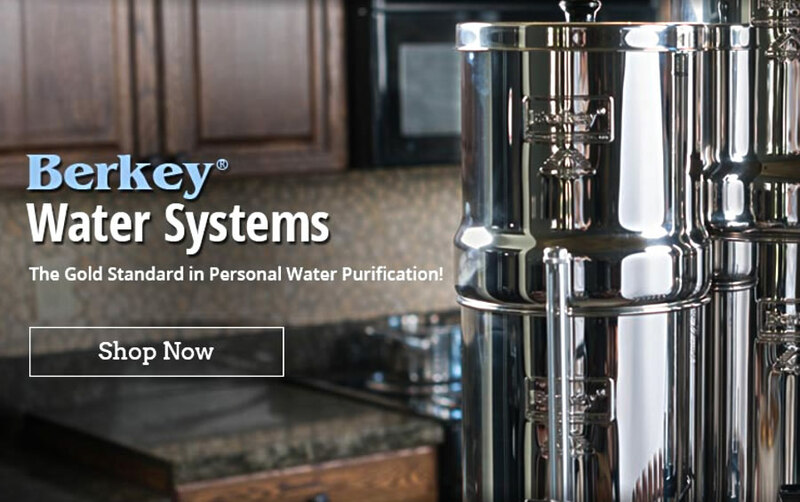 We also have water purification from Berkey such as their Berkey Light Water Filter and Royal Berkey Water Filter System. Survival stuff is very important when it comes to the safety of your family. You can stay safe with dynamo lights and flashlights, 2-way and 1-way radios, first-aid kits, herbal medicines, and solar power packs from Food Storage Guys. Our survival stuff is chosen for portability and practicality. Survival stuff is really important for all your hunting and hiking trips. You can depend on our survival stuff to help meet many different types of emergency situations. We have many items that are great for camping and hiking in the woods and mountains. Along with our backpacking meals, our Sport Berkey filtering bottle will take water from untreated outside sources and convert it to healthy, good-tasting drinking water. We are working to provide you with the best portable solar power panel available. You never know, especially if you live in the country, how long your power will be out. If you have a freezer full of food and there is a power outage for several days, you need to have a generator of some type or you will lose your food. Gas-powered generators are the usual solution to produce power. The downside to this type of generator is that fuel is not cheap and they burn through gas quickly. Also if you run out of gas and you can't get out to get more gas, or gas stations are rationed or closed, you are out of luck. The best solution we have found is a portable solar generator. These generators have a photovoltaic solar panel connected to a battery power pack. You can recharge the battery pack with the solar panel as you are powering your appliances. The generator is quiet, clean, and easy to operate.